For patients with both wet age-related macular degeneration (AMD) and cataracts, cataract surgery is both safe and effective, according to a new study which analyzed surgeries that occurred on 80 eyes. While patients with cataracts alone can be treated with a low-risk cataract surgery which replaces their eye’s lens with a plastic one, physicians have expressed concern that if patients have wet AMD and are receiving anti-vascular endothelial growth factor (VEGF) treatment, cataract surgery might exacerbate the AMD. The thought is that the procedure causes inflammation inside the eye, which could worsen wet AMD, but the recent study suggests otherwise. Several studies have explored cataract surgery in patients with dry and wet AMD, but this is the first to look at patients who are actively being managed with anti-VEGF injections, an increasingly common treatment. Doctors have often thought that receiving anti-VEGF injections led to the possibility of pressure fluctuations in the eye, which might make the patients unsuitable for cataract surgery. 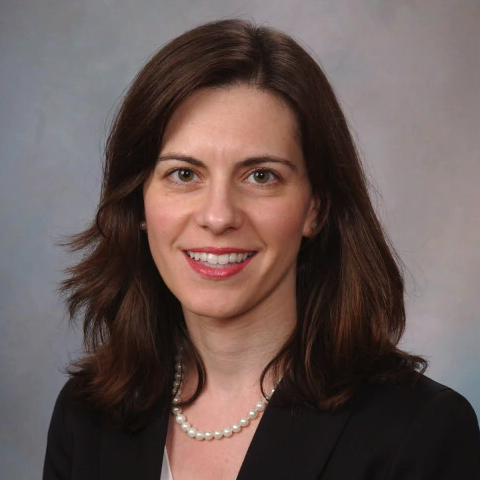 In order to determine whether patients actively receiving anti-VEGF injections for wet AMD were likely to benefit from cataract surgery without worsening their wet AMD, Sophie Bakari, MD, an associate professor of ophthalmology at Mayo Clinic, and her team conducted a retrospective analysis of 81 surgeries performed on 72 patients over 4 years. “The goal of this study was to investigate whether the preoperative presence of macular fluid on OCT in eyes with exudative AMD affects visual outcomes following cataract surgery,” Bakri and colleagues wrote. First, the team looked at the patients’ optical coherence tomography (OCT) scan data and best-corrected visual acuity (BVCA) prior to the surgery. In total, 23 eyes showed fluid on the preoperative OCT. On average, the patients had received an anti-VEGF injection 13 days prior to the surgery. The intervals at which patients received their anti-VEGF therapy did not change during surgery. The researchers studied the patients at 2 follow up points: 4 to 6 weeks after surgery and 6 months after surgery. They measured the patient’s subretinal, or intraretinal, macular fluid as well as their BCVA. Most patients, whether or not they had preoperative fluid, saw improved BCVA post-surgery (P <.0001). Additionally, there were no significant differences in central subfield thickness (P >.05) pre- or post-surgery. The authors noted that if patients with preoperative retinal fluid are being actively managed, they are likely to see the same improvement in vision as patients who did not have preoperative fluid (P >.05 for all). Those patients also experienced significant improvement in BCVA (P = .006). Although, the researchers noted that there were 8 patients whose vision worsened, and they were more likely to have had preoperative fluid and new or worse subretinal fluid following cataract surgery, though this was not statistically significant. The study, “Outcomes of Cataract Surgery in Patients With Exudative Age-related Macular Degeneration and Macular Fluid,” was published in the American Journal of Ophthalmology.